Breaking News - Only for Vagaries from Pradeep John, our Rainman, - will furnish all rainfall details as it is happening. No need to wait for IMD Mumbai Report for rain. Significant rainfall will be reported first here in Vagaries. A trough / wind discontinuity in the lower levels runs from Lakshadweep area to west Madhya Pradesh across coastal & north interior Karnataka and interior Maharashtra. 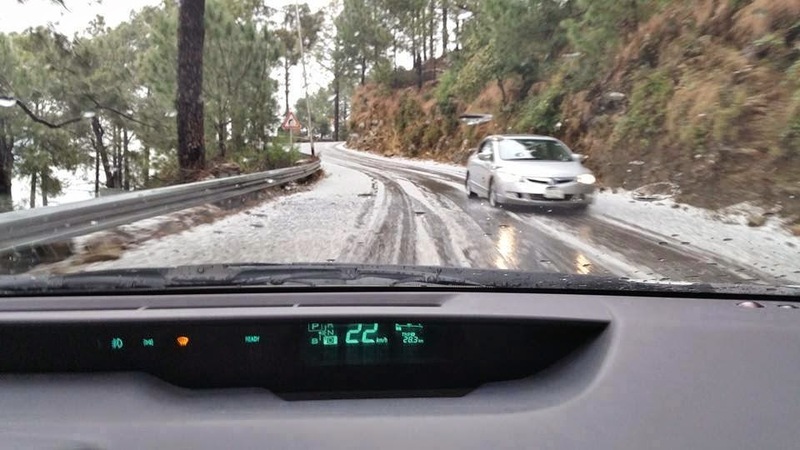 Margala Hills of Islamabad got snowfall today... very very rare happening in month of March... further Murree got 12 inches of snowfall in last 36 hours... its also rare for these days of season....Islamabad saw a high of 14.5c. .Report and Pic sent by Waqas from Islamabad.